More details to follow as the show gets closer. Please click the image above to find out when tickets go on sale. "2017 Creator Con is a grass-roots interactive media festival that provides a down-to-earth, positive celebration for communities to learn, create, collaborate and become inspired to pursue their passions towards careers in the arts, computer science, gaming, interactive media and technology industries. 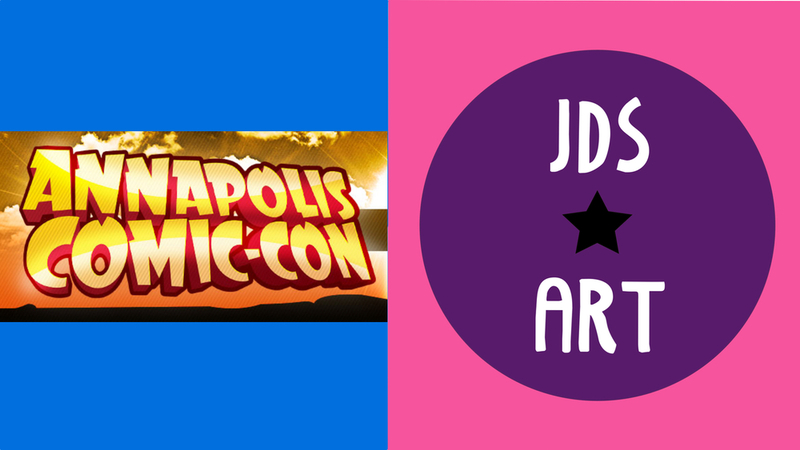 Our 3rd Annual Creator Con hosts art & gaming competitions, special guest presentations, designer challenges, workshops, panels, kidzone, live music, food trucks, vendors, and interactive hands-on demos. In addition to panels & demonstrations, Creator Con showcases over 150 artists & developers from the comic book and gaming industries in a comic-con setting to allow attendees direct access to walk-up and meet all of the amazing artists, creators and developers. Military & Student Discounts Available!" Visit this link to buy tickets and visit www.creatorconfestival.com for more details! I'll be at The New Jersey Comic Expo from 11/19 to 11/20/16 selling my fun, pop culture art goods. I hope to see you there! New Jersey Comic Expo is an annual event held at the New Jersey Convention and Exposition Center every fall. It's a celebration of comic books and pop culture that showcases the exceptional works of talented writers, artists, illustrators and creators of all types of pop culture. At New Jersey Comic Expo you'll find exhibitors promoting and selling all types of related products, as well as entertaining and educational programs, guest signings, and meet & greet sessions with celebrities. New Jersey Comic Expo is a production of MAD Event Management, LLC. Visit www.madeventmanagement.com for additional information. I'll be at Baltimore Comic-Con this year! You can find me in the Artist Alley at Booth A78. I hope to see you there! The convention runs from 9/2 - 9/4/16 and you can buy tickets and find out more information here.